Is Tiny Living A Faster Way To Reach Financial Independence? Between TV shows like Tiny House Nation and Tiny House Hunters, the tiny house movement seems to be exploding in popularity. Both my wife and I enjoy watching tiny house shows because they allow us to view a lifestyle that is very different than ours. But would we ever consider moving into a tiny home so we could retire earlier or achieve financial independence faster? Housing is easily one of the largest expenses, if not the largest expense, that you pay for each and every month in your budget. Eliminating or greatly reducing your housing costs, while maintaining your level of income, can give you the opportunity to pay off debt faster or put even more money toward investments. Tiny houses are much less expensive than traditional homes, and they should be. The homes on these shows are normally less than 500 square feet. If they’re built on a trailer and are mobile, they can be even smaller. The shows often talk about complete build budgets of less than $50,000, although some projects end up a bit higher. If you’re currently living in a $200,000 home that you have a mortgage on, chances are you hopefully have some equity in it. If you’ve owned it for a few years and put down a decent sized down payment, you could have enough equity in your home to buy a tiny home outright. The move could essentially eliminate your monthly mortgage payment. This is a huge savings and can help you make great progress with your goal to retire early or achieve financial independence. Of course, a tiny home still comes with expenses. You may want to insure your tiny home against losses and you may still owe some form of real estate or personal property taxes depending on where you live. Most importantly, don’t forget that since you own this new tiny home, you’ll still have to maintain it just like you would a full-size house. Granted, these costs should all be lower with a tiny home than a full-sized home, but you’ll still incur them on some level. Believe it or not, tiny houses will come with extra expenses that you wouldn’t incur with a typical home. You’ll have to pay more money for smaller versions of everyday things that are specialized for cramped spaces. Your appliances won’t likely be full sized and that may end up being expensive. You’ll have to buy fancier nesting versions of items you already have to save on space. These are just a few of the additional up-front costs of a tiny home. However, you also need to think down the road with your tiny home, too. What happens when you’re ready to sell your tiny home? Will there be a buyer that actually wants to live in a tiny home? It could take months or years to sell it. Since tiny homes are a unique concept, they could even end up depreciating instead of growing in value over time. This is especially true if they weren’t well built. In fact, you may have to completely replace your tiny home if it was built cheaply and you want to continue having a place to live. What Happens When You Get Old? Another thing I’ve always wondered about tiny homes is what happens when you get old? Climbing up to the loft sleeping area is no problem when you’re in your 20s or 30s, but at some point it is going to become physically more difficult to climb the ladder. Tiny homes don’t have a ton of extra space, so chances are you’ll have to sell your tiny home and find a more age-friendly home to live in. But what if you’ve already retired early or claimed to have been financially independent and now you have to go live in a bigger home? Will you still be able to stay retired or remain financially independent? If you were moving to a tiny home to accelerate the process and you quit working the minute you hit your retirement number, one that factored in living in a tiny home, chances are you’ll have to return to the workforce to be able to raise enough funds to live in a larger, more friendly home. Granted, you don’t have to buy a 2,000 square foot home, but even an 800 to 1,200 square foot home will cost you more than a 350 square foot tiny home. In addition to the purchase price being higher, insurance, taxes and utilities will all increase, too. 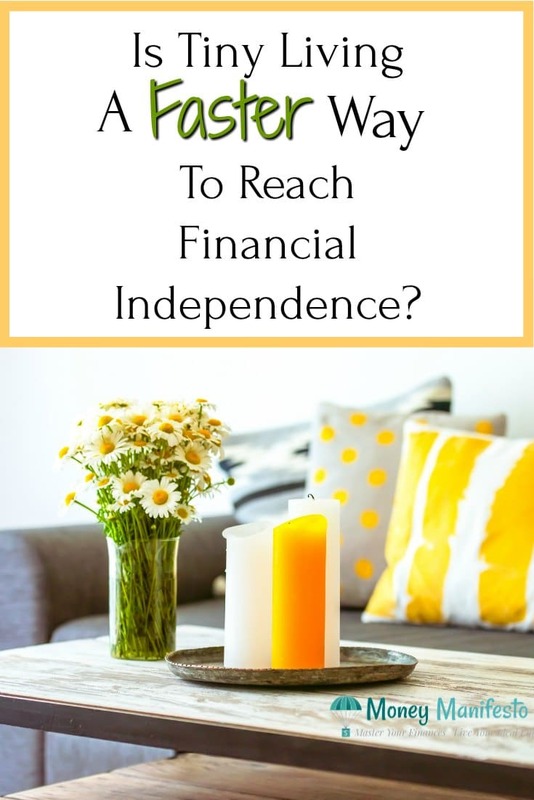 These increases in costs could devastate your financial independence plans if you didn’t account for these extra expenses. Just because a true tiny home may not end up working for your long term needs, there are still plenty of other options to help you retire earlier or achieve financial independence faster. While a 350 square foot $50,000 tiny home may be ideal from a monetary standpoint, a $100,000 1,100 square foot home might be the perfect solution to your long term needs. Yes, it will take longer to save the money to either pay for the 1,100 square foot home outright or it may take longer to pay off the tiny mortgage you take out on the bigger home. The larger home may pay off in the long run when you don’t have to move and try to sell a tiny home that very few other people actually want. Would We Ever Live In A Tiny House? While we’re intrigued with the idea of tiny house living, I personally don’t see us ever doing it for the long term. We might buy a used RV in thirty years and travel the country for a year or two when we retire, but I don’t see a tiny home being a permanent home for us. That said, we have lived in a smaller than average home for a couple of years at the beginning of our journey to pay off Tori’s over $80,000 of student loan debt. Our home at the time had just over 1,100 square feet of space along with two bedrooms and one and a half bathrooms. The smaller home was much cheaper than the place we were renting at the time, so we were able to put all of that extra money towards paying down the student loan debt as fast as humanly possible. We had no problem living in the space at the time, but we knew we’d need a bigger home for when we were ready to start our family. We eventually moved into a larger home to take advantage of the relatively low housing prices and the low interest rates at the time. We could have realistically made the 1,100 square foot home work for us if we only had one child, but we decided it was worth it to us to spend a bit more to enjoy a larger home where we wouldn’t feel so cramped. We then moved to a home that was right around 1,800 square feet, which is still smaller than the average new home built today. If you’re seriously considering downsizing, whether into a tiny home or just a smaller home, make absolutely sure it is the right move for you before you pull the trigger. These huge financial decisions will end up costing you thousands or tens of thousands of dollars in miscellaneous costs, so one wrong move could destroy your finances. If possible, try to rent a smaller home or even a tiny house for an extended period of time to try out the lifestyle. One great place to check out is vacation rental websites to see if there are any affordable options where you live. Trying out the lifestyle will give you a reality check if moving tiny just simply isn’t right for you. On the bright side, if you love living tiny, you could save a ton of money in the long run. What do you think about tiny house living? Do you just love the TV shows, or would you actually consider making the move into a tiny home? Share your thoughts in the comments below! 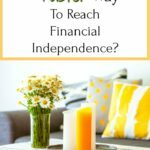 The post Is Tiny Living A Faster Way To Reach Financial Independence? appeared first on Money Manifesto.